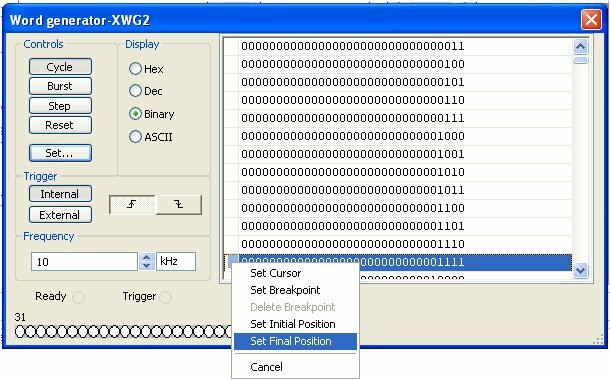 Parity bits are extra signals which are added to a data word to enable error checking. There are two types of parity – even and odd. An even Parity Generator will produce a logic 1 at its output if the data word contains an odd number of 1s. If the data word contains an even number of 1s then the output of the Parity Generator will be 0. By concatenating the parity bit to the dataword, a word will be formed which always has an even number of 1s i.e. has even parity. Parity is used on communication links (e.g. modem lines) and is often included in memory systems. If a dataword is sent out with even parity, but has odd parity when it is received then the data has been corrupted and must be resent. As its name implies the operation of an Odd Parity generator is similar but it provides odd parity. The table shows the parity generator outputs for various 4-bit data words. Use a Truth Table to construct odd parity generator. 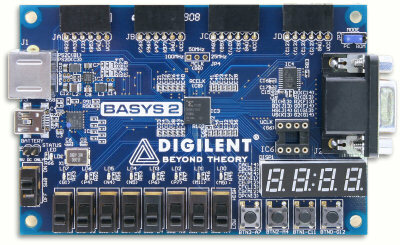 Download the attached Digilent Basys 2 file. Two files will be unzipped: DigilentBasys2.mspc and DigilentBasys2.ucf. P is the result in our case for Odd Parity. We note that above algebraic simplification is representing XOR (short for Exclusive-OR) and XNOR (short for Exclusive-NOR) gates. You can read an excellent tutorial here. 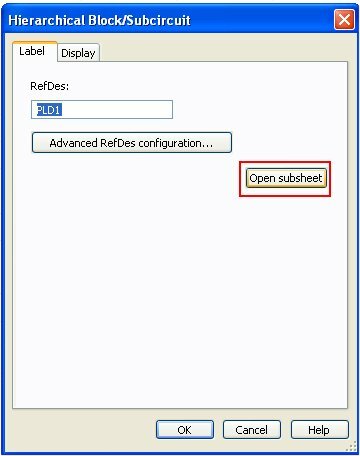 We will first design the top level schematic in NI Multisim 13.0 which is used for simulation purposes and contains the PLD subsheet. The top level schematic, as part of this project, allows for simulation. It places the PLD logic in place around the IO contained on the board. To achieve this we use a PLD sub-circuit. 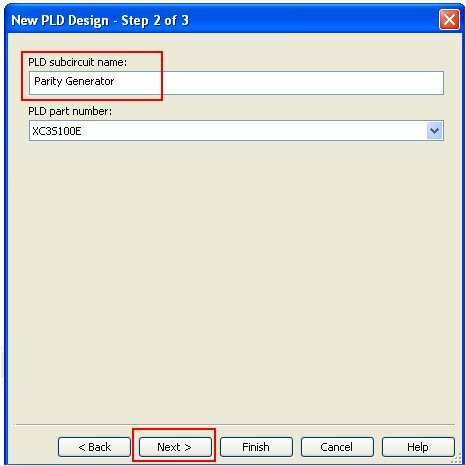 The PLD sub-circuit allows us to place the PLD code within a single component as if it was being run on the FPGA. The steps below describe the process for creating a sub-circuit. 1. 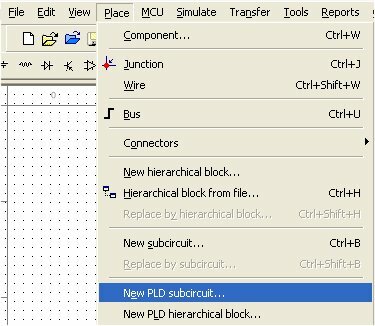 Open a new schematic in Multisim. sw_0, sw_1, sw_3 and sw_4 for simulating input values A, B, C and D respectively on Basys 2 FPGA board. Led_0 for output on the Basys 2 board and to indicate Odd Parity. We will keep all other default values as they are, and click Finish button. Save the Multisim schematic giving it a name. I have called it “my_Parity_Generator”. After completing the top level circuit, we need to create the digital logic within the PLD schematic. We will next edit the sub-circuit and connect it up. Set up the Word Generator first. Doube-click on XWG1. 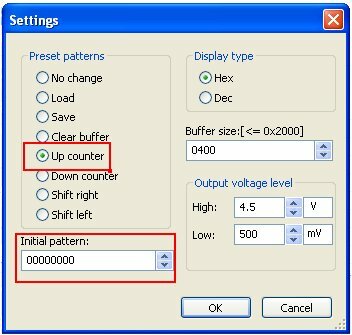 Choose up counter and keep the default Initial pattern. Up counter will be generated. We will now limit at 1111. Click on this pattern and right-click with mouse and choose Set Final Position. 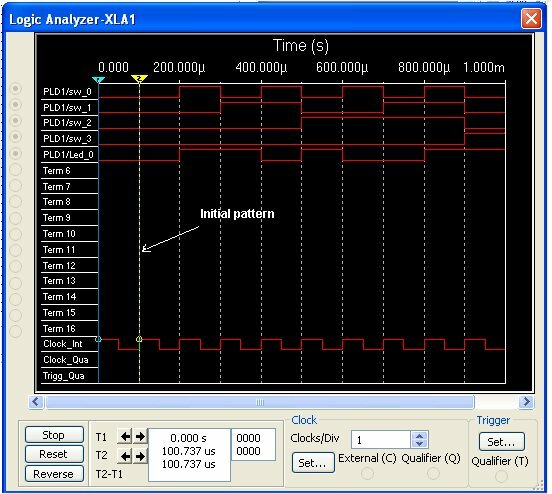 Now double-click on XLA1, Logic Analyzer. On Word Generator click the Step button. 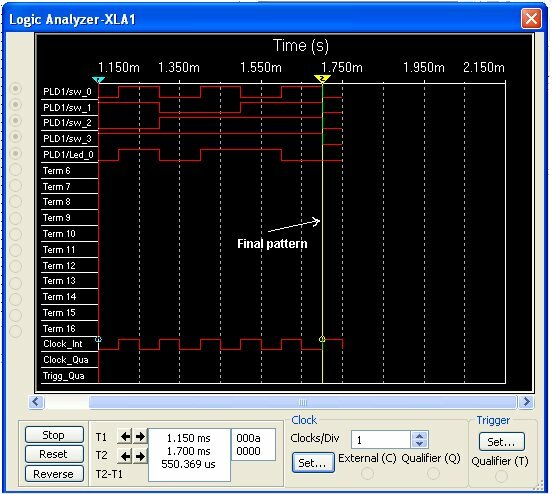 As you Step through the patterns you will see the Logic Analyzer displaying the patterns as well the Parity result. In fact Even Parity is inverse of Odd Parity, therefore in our PLD sub-circuit we could have also obtained this result by just placing an Inverter at output. We can also test the circuit by connecting a LED to the output of PLD, and by stepping through the patterns in Word Generator. Everytime the LED is ON it means that it is Odd Parity. – Generate VHDL file – allows students to explore the VHDL behind the logic.We will focus on programming the connected hardware. NOTE: If your Windows OS is not in english language, you will need to edit the TEMP and TMP localization in My Computer -> Properties -> Advanced -> Environment Variables. You will have to change it from %USERPROFILE%\Local definitions to %SYSTEMROOT% to avoid XST Synthesis failure. This happens as the command lines of compilation do not accept foreign language characters such as ç, õ and others of similar nature . Of course you will need to restart your PC, after having made these changes to your Windows’ Environment Variables. Select: Transfer » Export to PLD from the menu bar. Here you will see the three export options. 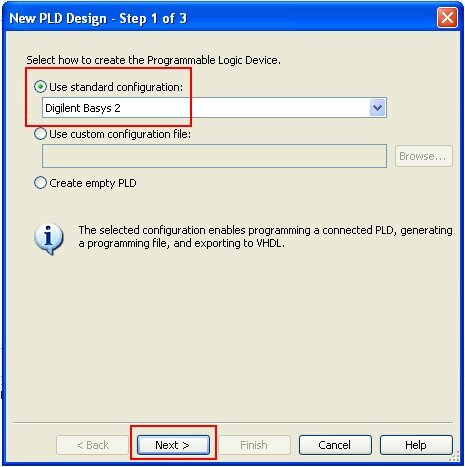 We want to export to physical hardware so select Program the Connected PLD. 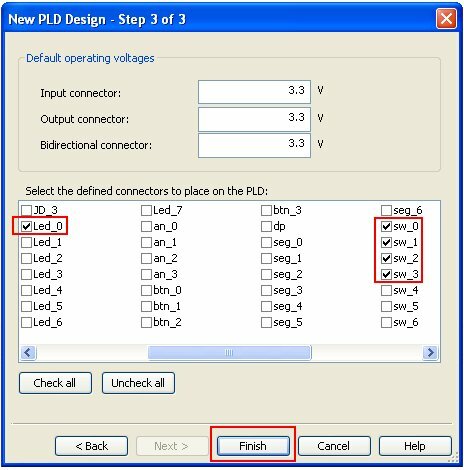 We want to program the connected PLD. Click Next. In my Windows environment I have already installed Xilinx ISE Design Suite 14.2. Note that Device Status is not checked. Make sure first of all that Basys 2 board is connected. You may need to install Adept software and make sure that the board is recognised by your PC. Click on Refresh button. Multisim will try to detect the Basys 2 FPGA board. Note that Multisim 12.0 does not detect the board. A parity bit is used for the purpose of detecting errors during transmission of binary information. We have used two excellent tools NI Multisim and Digilent Basys 2 FPGA board. 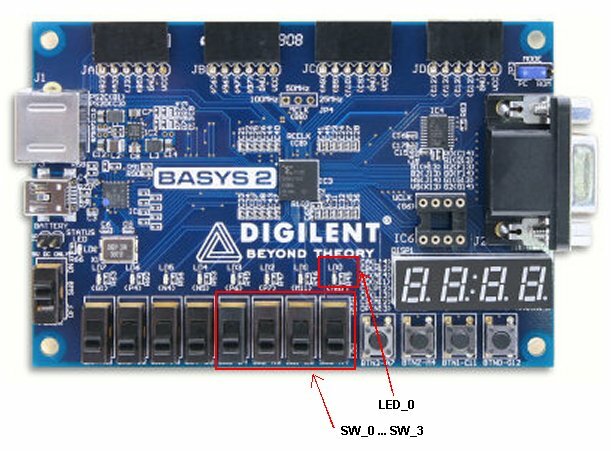 We first derived the logic circuit of 4-Bit Parity Generator from the Truth Table, simulated the derived circuit in NI Multism, and then finally implemented it physically on a Digilent Basys 2 FPGA board. This entry was posted in Electronic Projects, Electronic Simulation and tagged 4-Bit Pariity, Basys2, Design, Digilent, K-Map, Karnaugh Map, NI Multisim, Parity Generator, Simulate, Spartan-3E. Bookmark the permalink. The XOR circuit shown is for even parity generator as it generates a 1 when there are odd number of 1s in the input? ?truth table is not matching with the explanation of parity generator unless using a negative logic. pls clarify. The truth table shows you can generate odd or even parity. You can choose whatever parity generation you want. Please read the tutorial to end. It is quite clear that you just need to invert.